Our fishing island was invaded by a crowd of crazy green pigs. 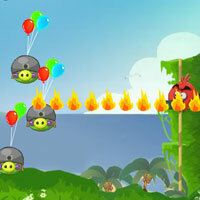 As a guarder, angry birds must eliminate all of them to defend our island! Come on!